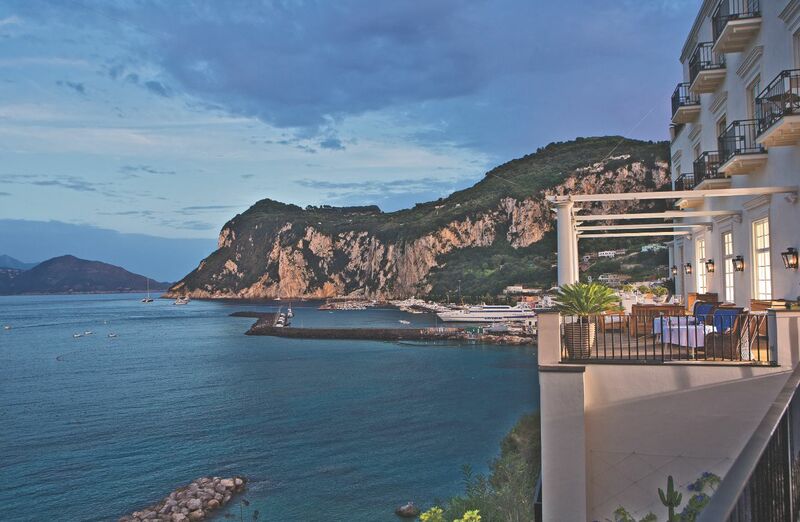 One of my all-time favorite hotels, in terms of design, is J.K. Place Capri. It is very Ralph Lauren-ish with its predominant navy blue and white color scheme, and nautical references – an elegant and contemporary take on a classic style. I remember telling my trusted interior designer that if I ever buy a beach house, “this was the way I would want it to look. It’s the epitome of beach house chic, in my opinion. So please pay attention to every single detail of the place, and make a trip there if you have to and recreate my dream beach house in the style of J.K. Place Capri”. 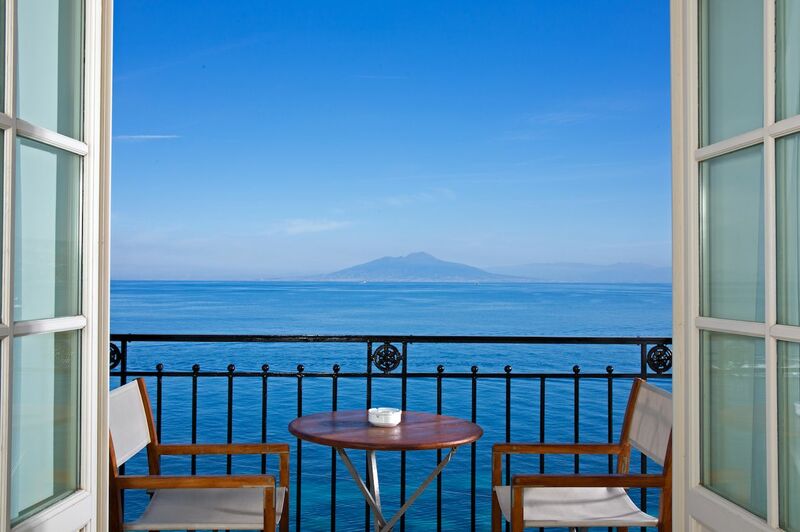 It has become so synonymous with Capri (to me) that if the place is fully booked, I would rather not be in Capri. It’s J.K. Place or nothing. Such is the importance I place on the design of a resort. I based most of my vacation accommodation choices on the design aesthetics of the place, besides location of course, especially when it comes to non-city destinations like a beach holiday. In fact I often let the choice of resort, which is determined by the design, dictate my choice of holiday destination. Off the top of my mind, I remember making my trip to Big Sur, California, solely for the sake of staying at Post Ranch Inn. I was drawn to its luxurious take on a rustic, eco-friendly, back to nature design. Think tree houses and cabin lodges complete with either a full Pacific Ocean view or raw, earthy mountain and ridges view. Although I’m sure I was also lured by the fact that they have a minimum age policy of 18 years old! Even the restaurant has a minimum age requirement of 12 years and above. I really wanted to experience staying at Post Ranch Inn as I was drawn to its design, rather than the destination, Big Sur, which is gorgeous in its own right. Sean Parker held his ethereal, Lord of the Rings-themed wedding party right in the heart of Big Sur’s forest. I do not remember much about Big Sur, but I most certainly remember everything about Post Ranch Inn. A design choice is a reflection of one’s sense of aesthetic and individuality. It’s subjective. That is the beauty of design choices. There is no such thing as a ‘right’ or ‘wrong’ style but just a matter of which style speaks to your taste. I had a discussion with my friends on where to stay in Miami. I suggested the newly reopened The Surf Club by the Four Seasons. It’s a legendary spot that was graced by Sinatra and Churchill in its heydays and was recently renovated by Richard Meier, who also designed a new residential tower that complements the hotel wing, which is managed by the Four Seasons Hotel group. 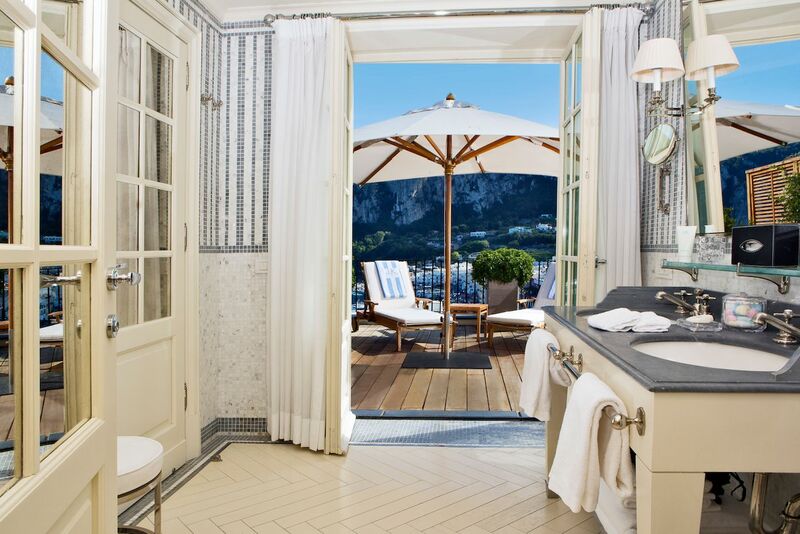 It even housed the first outpost of the iconic Positano (hotel) restaurant Le Sirenuse. The design is a mix of old world glamor and modern luxury that is different from The Miami Edition Hotel, a very trendy, on point luxury boutique hotel. My friends preferred The Edition. Our choices have been consistent, as I tend to prefer contemporary classic hotels, especially those with heritage and history, although they tend to veer towards the modern, trendy boutique places. If design choices are a reflection of our tastes, what do our choices say about us? I also often find myself choosing a product based on the design (practicality be damned!). It will be a major bonus if a product is both functional and stylish, but the latter has a slight edge over the former, as always. Which perhaps reflects my priorities? I’m sure we all have that one coat that will not keep us sufficiently warm when the situation clearly calls for proper insulation and yet we’ll still wear it even if it means we may contract hypothermia. I once proudly wore my new pair of leather gloves only to receive a perplexed comment from a concerned party questioning the practicality of a pair of gloves that do not cover the fingers. “What kind of gloves only covers half the hands?” Well, a sensible pair but of course! The fashion world is extremely diversified, providing many design options at various price points for anyone to curate a wardrobe that speaks volumes about who they are. Nothing fleshes out a movie or stage character more than the (clothes) costumes and makeup. As they say, clothes maketh a man. The designs and brands that we choose to wear give out subtle hints and messages. It’s an effective tool for communication. For instance, when Michelle Obama picked her inauguration ball gown from a (then) relatively unknown Asian American designer, Jason Wu, it was widely interpreted as a show of support for the underdogs and minorities, perhaps much like a parallel reference to their own story? When a fashionista chooses to wear pieces from an up and coming contemporary designer, it shows that design comes before brands, and that she is a confident trend-setter who strides in her own fashion design choices. On the other hand, when consumers choose to wear noticeable designs from the most luxurious brands, it’s a reflection of their preference for luxury brand association. 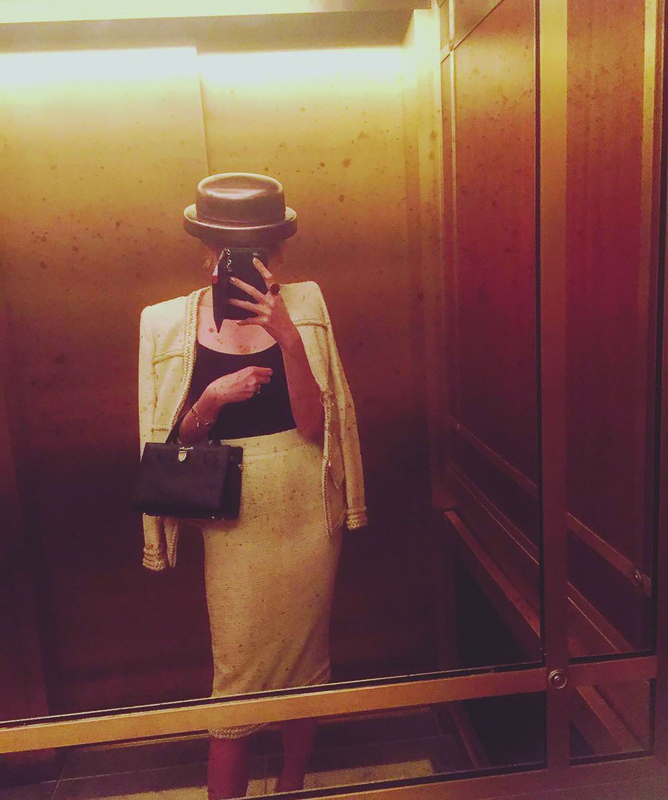 Brands aside, whether one chooses to wear designs that are practical and functional though not necessarily the most fashion forward or the latest trend regardless of suitability for their body types, it is a reflection of the image one is communicating to the rest. I have lost count of the number of times I got asked whether I feel hot wearing a tweed jacket to lunch in tropical and humid Singapore weather. Or the number of times I was advised to ‘dress casually’ given that I have a tendency to wear sequins to lunch. Perhaps it is a bit too much, but if design choices are a reflection of our individuality, I guess it just means I am true to myself. The curation of our design choices gives us an avenue to project the image that we want and send across a subtle message of what we stand for. It is an extension of our personality and nothing is more exciting than having an interesting and unique persona. In a way, we are designing our own lifestyle image through the design choices that we make across the board. From the genre of artworks that we collect (Modern, Contemporary, Pop Art? 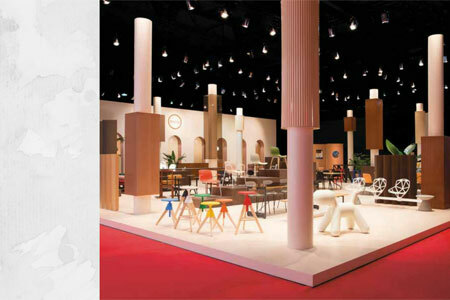 ), the furniture that we like (Mid-century, antique, modern? ), the interior design of our homes (eclectic, classical, minimalist? ), the jewellery pieces that we like (vintage, Art Deco, whimsical?) and of course, as mentioned above, the fashion designs that we choose to wear and the hotel designs that we like in our travel accomodation. We are curating our lives one design at a time.